Are you thinking about filing for divorce in Denver, Colorado? If so, you need to know that there is much more to divorce than simply completing a few forms and submitting them to the court. You need to be fully prepared for the challenges that come with a divorce. Here, we list seven things you should do before you file for divorce in Colorado. First and foremost, you need to prepare for your divorce by creating a list of your goals. To best serve your own interests, you should sit down and make a realistic assessment of your situation and determine what specifically is important to you. This way, you will know what issues you will need to focus on. With divorce, logistics matter. You do not want to get stuck scrambling, trying to figure out where you are going to live. As there is already going to be so much on your plate, it is critical that you give careful consideration to your future living arrangements as soon as possible. Divorce affects people in many different ways, but in general, it is a raw and emotional process. One of the best things that you can do for yourself is to prepare a strong support network of friends and family members who you can rely on for emotional support and personal guidance. Before you get deep into the separation process, you need to be sure that you have copies of all relevant financial documents and records. From account statements, to tax returns to retirement account records, you need access to all of this documentation. If you have kids, their best interests need to be centered in your divorce process. Please be sure to make your goals for child custody and timesharing at the very beginning of your divorce so that you can fight for your parental rights in an effective manner. It is a good idea to keep a journal, or at least some notes, during your divorce. Contemporaneous notes are considered admissible forms of evidence in court cases. 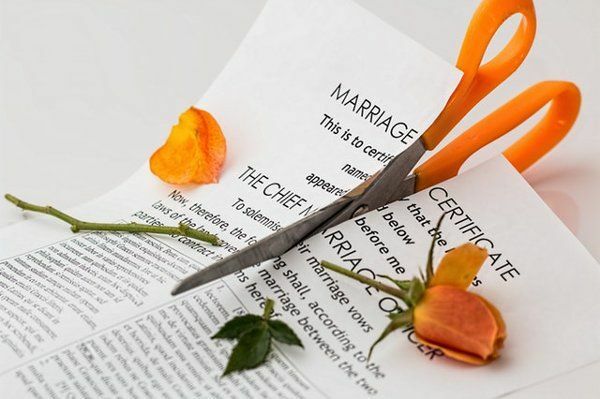 Should your divorce become contentious, this type of documentation may prove to be very helpful. Finally, you should be ready to shut down your social media accounts for awhile. Anything you post on social media could potentially be used against you in a Colorado divorce dispute. As such, it is a best practice to simply refrain from posting until your divorce is completely resolved. At Bloch & Chapleau, LLC, our Denver divorce lawyers have extensive experience in family law proceedings. If you are considering filing for divorce in Colorado, please reach out to us today to schedule your confidential legal consultation. From our offices in Denver, Park Meadows and Edwards, we represent clients throughout the region, including in Jefferson County, Summit County and Eagle County.